Nkauj Iab Yang is the Director of California Policy and Programs at Southeast Asia Resource Action Center (SEARAC). She works closely with Southeast Asian American (www.facebook.com/searac) led and serving organizations throughout California to build a statewide Southeast Asian American equity agenda, identify the appropriate strategies, and advocate for local and state policy change. Manager with Banteay Srei, overseeing programs and direct services for Southeast Asian American young women impacted by sexual exploitation. Through Banteay Srei, Nkauj Iab led a small collaborative to pass the resolution to expand and report disaggregated Asian American and Pacific Islander data at Oakland Unified School District. Since my high school days, I have always known that my journey in life is to fight for and serve the people. Then, I always thought it would be through fighting for justice and equity through the public K-12 and higher education systems. When I went on to college at the University of California, Berkeley, I fell in love with Ethnic Studies. For once, someone or something saw me as a Hmong American woman, validated my Hmong American experience, and taught me that I am, my people are, deserving of living a life with dignity. Ethnic Studies provided me the lens and the language to put my life experience and my peoples’ life experiences into perspective. It was during my college years, that I started dedicating my life to deepening my understanding of the intergenerational trauma of war I inherited, layered with my own trauma, growing up as a young woman of color in a low-income neighborhood seeking love and validation. In short, I was put in vulnerable situations where I was taken advantage of and I also blindly sought for “love” that I thought didn’t exist. 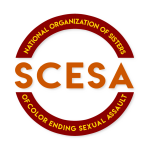 In 2012, I began working with Banteay Srei, a non-judgmental organization for Southeast Asian American young women impacted by sexual exploitation. I wanted to contribute to fostering a safe and culturally relevant space for young Southeast Asian American young women to address the issues they face and empower them to pursue their dreams. Acknowledging that sexual assault can happen to anyone why do you think that it’s important to focus on Women and Girls of color? Yes, anyone can be impacted by sexual assault regardless of race, ethnicity, age, gender, ability, or sexuality. However, it is important to focus on young women and women of color because we exist in a white supremacy, patriarchal, classist society which makes young women and women of color at least three times more vulnerable to sexual assault and our issues become less visible. Thus, we have to ensure that the most impacted communities are at the forefront of the movement – in this case, us. I know my work makes a difference in ending sexual assault when I see impacted young women laughing and finding hope to continue pursuing their dreams – when they know their sexual assault experience(s) doesn’t define them. I know my work makes a difference when I see young women standing up for themselves and each other – when they’ve pushed themselves to speak up and raise awareness of others. I know my work makes a difference when younger generations are able to get older generations to begin healing their untold wounds. I can’t do this on my own. I need to be connected to other providers, I needed to ensure I was participating in policy change; I needed to connect my work to other work to be part of a larger movement to end sexual assault. Great question. Sometimes taking care of myself is hard work. I lean on my peers and colleagues for support – whether it’s someone to talk to or someone to learn from. I also make sure I’m continuing to do the key things in my life that gives me energy – get massages, spend time in the wilderness, read, nourish my body with delicious healthy food, spending time with people I love, and most importantly have self-time.